As a lifelong lover of both natural history and of watercolour painting, I get immense pleasure form combining these interests and always have the hope that my work will inspire interest and support for, particularly, our wonderful native wildlife. I have had a passion for wildlife and have painted natural history subjects for as long as I can remember, having settled on watercolour as ‘my medium’ at about the age of 13. Originally from London, I studied Zoology at Nottingham University and have worked as a natural history illustrator and commercial artist whilst continuing to exhibit my own work wherever I could. Now living in the beautiful Usk valley I continue to exhibit both locally and in national wildlife exhibitions. My paintings vary from the ‘Specimen Boxes’ inspired by museum collections (but alive! 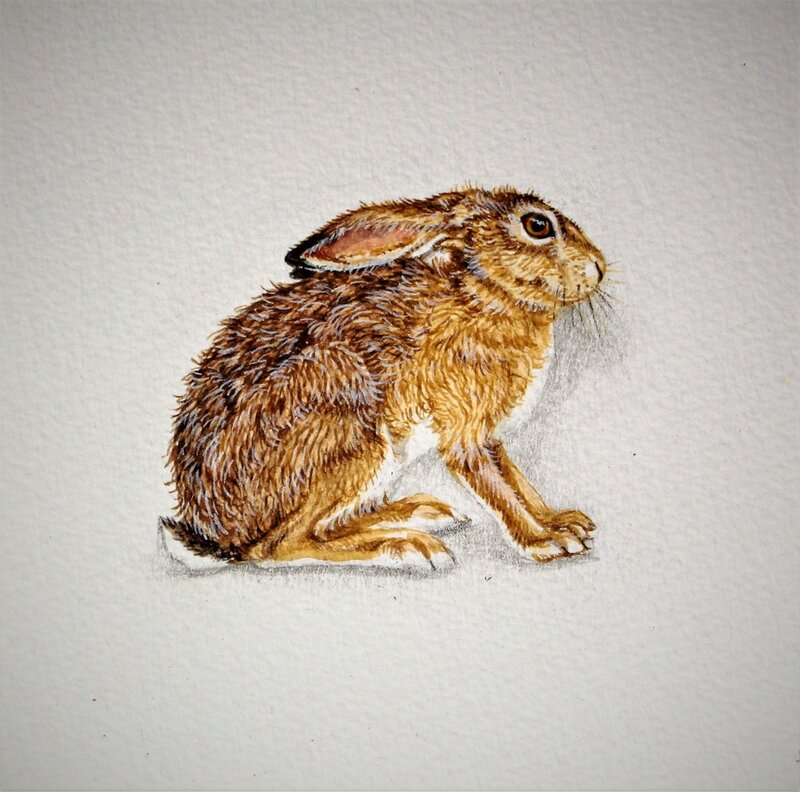 ), through straightforward wildlife portraits, to ‘frame breaking’ illustrations of a more decorative style.